Although Connecticut is a small state—it is the third smallest state in the U.S. by total area—there are wonderful hiking trails to be found around every corner. The Appalachian Trail even winds through Litchfield County following the Housatonic River, so you can be sure that the hiking in the state is world-class. Grab your hiking boots and read on to discover 15 of the best hiking trails in Connecticut. The Pachaug State Forest has numerous trails, both short and easy for beginners and more challenging for frequent hikers. One of the most captivating trails is the Rhododendron Sanctuary, located in the Chapman Area, which is a short, easy walk through a gorgeous rhododendron forest. If you time your visit just right (early to mid-July), you’ll be hiking through large, white-pink blossoms. Also in the Chapman Area, you can hike Mount Misery, which is the highest nearby mountain. It has an elevation of 441 feet and you can hike to an overlook point, which provides great views of the park and surrounding area. A former railroad track that connected New York City to Boston as far back as the late 1800s, the train tracks are no longer around, but the trail remains. The train carried passengers from 1876 until 1902 on the track, which at the time, was built high above the ground and was considered a feat of engineering. You can now hike this trail beginning at one of its entrances in nine towns across the state. You’ll find numerous highlights along the way including viaducts, state forests, and ubiquitous stonewalls. Both a hike and educational self-guided tour, the Mine Hill Preserve is a historic iron-making location and granite quarry that is currently on the National Register of Historic Places. At just four miles long, this short hike provides both beautiful nature views and informative signs describing this historic site. Nature lovers will also find that some of the former mines have become homes for Connecticut’s bat species. Devil’s Hopyard State Park features numerous hiking trails of a variety of difficulties on uneven land. The main feature is a 60-foot waterfall that has a few spooky legends surrounding it. Devil’s Hopyard offers numerous facilities including toilets, a seasonal campground, grills, picnic benches, and fishing is allowed with an appropriate permit. White Memorial Conservation Center has 40 miles of trails and the overall center is focused on conservation and nature education. The hiking trails provide numerous opportunities for birdwatching, botanizing, and spotting local wildlife in this 4,000-acre nature preserve. Trails are well marked and some are boardwalks. As the White Memorial Conservation Center is so large, be sure to pick up a map so you can plan your hike appropriately. Enjoy 10 miles of trails at the Denison Pequotsepos Nature Center that take you through a variety of habitats such as forests and meadows. The well-marked trails are open for public use from dawn until dusk every day. The Denison Pequotsepos Nature Center has been focused on nature education and conservation for 70 years and holds events for adults and children. As Connecticut’s largest coastal conservation preserve, Barn Island is a great place for hiking. It has a looped hiking trail of about three miles that also happens to be excellent for birdwatching. This is an easy trail that cuts mainly through marshes and is flat. Keep in mind that deer hunting is allowed in season, so if hiking or birdwatching, wear brightly-colored clothes. The Appalachian Trail, located mainly in Litchfield County, runs through a total of 14 states and is over 2,000 miles long. The Appalachian Trail is managed by the National Parks Service and the Appalachian Trail Conservancy and was built by a group of individuals in the 1920s and 30s. Today, it is open to the public for hiking and covers a range of terrain. The hiking along the Appalachian Trail is difficult and it is important to be prepared with appropriate supplies, a map, and stay informed of the trail conditions. Barkhamsted has numerous different trails and trail combinations, with some being loop trails, some out and back again trails, and some trails where you start in one place and end in another. 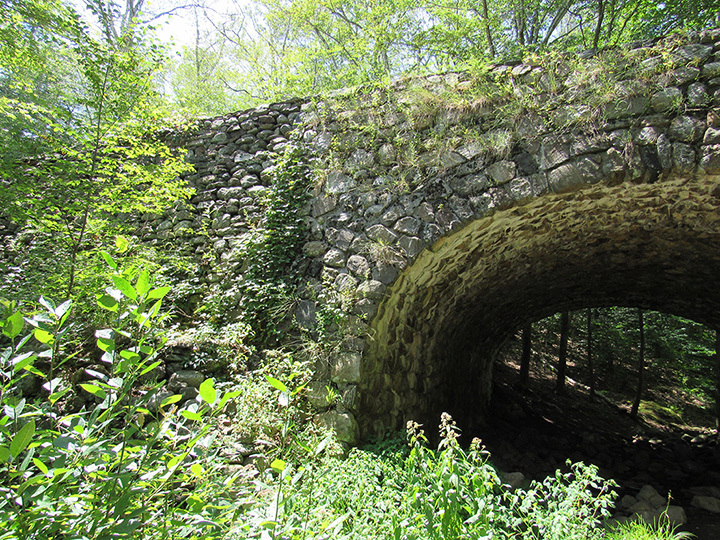 Popular hikes include the Indian Council Caves, Tunxis Trails, and Beaver Brook. The Indian Council Caves is an approximately two-mile hike through forests and meadows to caves and back again. Tunxis Trails takes you by the Indian Council Caves and is about five miles long. Beaver Brook is a loop trail of 2.6 miles. Haley Farm is a scenic shoreline hiking area through a former farm. You can choose to hike solely on the trails at Haley Farm, or travel a further distance by hiking through the farm and over a bridge to Bluff Point State Park. Haley Farm also has a 0.8-mile bike trail, and is appropriate for jogging and walking dogs on leashes. Lantern Hill Trail takes you up to a 491-foot hill and is a moderate difficulty hike. Leashed dogs can accompany their owners on this hike. From the top of the hill, you’ll have views of Ledyard and North Stonington as well as over Foxwoods Casino. Other trails can be found linking up with the Lantern Hill Trail that run to Hopkinton, Rhode Island. Mount Frissell, located on the Connecticut-Massachusetts border, is the tallest point in Connecticut at 2,380 feet, although the peak of the mountain is just over the border in Massachusetts. Along the trail, you’ll see the former marker showing the shared border of Connecticut, Massachusetts, and New York as well as a marker for the highest point in Connecticut. This hike, through a densely forested area, is moderately challenging and not for beginners, as you are ascending a mountain. The trail head can be reached via Mt. Washington Road. Sleeping Giant State Park, which gets its name from the mountain top’s resemblance to a sleeping giant, has an approximately two-mile long trail that leads up Mount Carmel. From the overlook point at the top of the mountain, you can see New Haven and the Long Island Sound. Mount Carmel is only 739 feet tall and the trail provides an easy hike that is appropriate for children. In addition to having great hiking trails, Nehantic State Forest is a wonderful picnic location and has two ponds that are appropriate for swimming or boating. For hiking, you’ll find a well-marked loop trail and several connecting trails. Keep in mind that hunting is allowed, so during hunting season, dress in bright colors if you plan to hike. Mohawk Mountain State Park has trails that ascend Mohawk Mountain, which is 1,683 feet tall. Along the Mohawk Mountain hiking trails, you’ll find Black Spruce Bog, which is a 40-foot deep peat bog, several species of native bog plants, and many large trees. In the winter, there is a ski area and trails that can be used by snowmobiles if the snow is suitably deep. Fishing with the appropriate permit is allowed as well. According to its website, Devil’s Den is the Connecticut “largest continuous preserve” and is “ideal for outdoor recreation.” Devil’s Den’s 1,756 acres of space come together in a collection of woodlands, wetlands, rock ledges, and more. Not only does this area make for a stunning hike, it also is historically significant to the state of Connecticut. Evidence suggests that humans were using the area as long as 5,000 years ago. From rhododendron groves, slumbering giants, long forgotten railroad tracks, and the Appalachian Trail, Connecticut has an abundance of memorable hikes. While some hikes are appropriate for beginners, such as Sleeping Giant and Haley Farm, other hikes are suitable for experienced hikers, including the Appalachian Trail and Mount Frissell. No matter your ability level, there is a hike for everyone. Get out and explore the beauty that Connecticut has to offer at these wonderful trails. View more Connecticut Hiking Trails.